San Secondo Spalla Cotta is the typical specialty of the Parma province, renowned for its tradition of delicious, rich-tasting and genuine cold cuts. Serve it hot or cold, on its own or with torta fritta. Soft, aromatic, delicious, perfect for those starters. Buy a portion of Spalla Cotta, vacuum-packed and ready to be sliced. 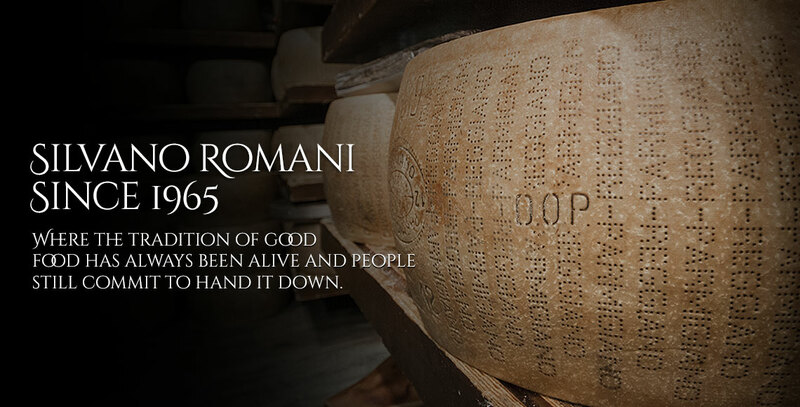 San Secondo Spalla Cotta, guaranteed by the experts in cold cuts. 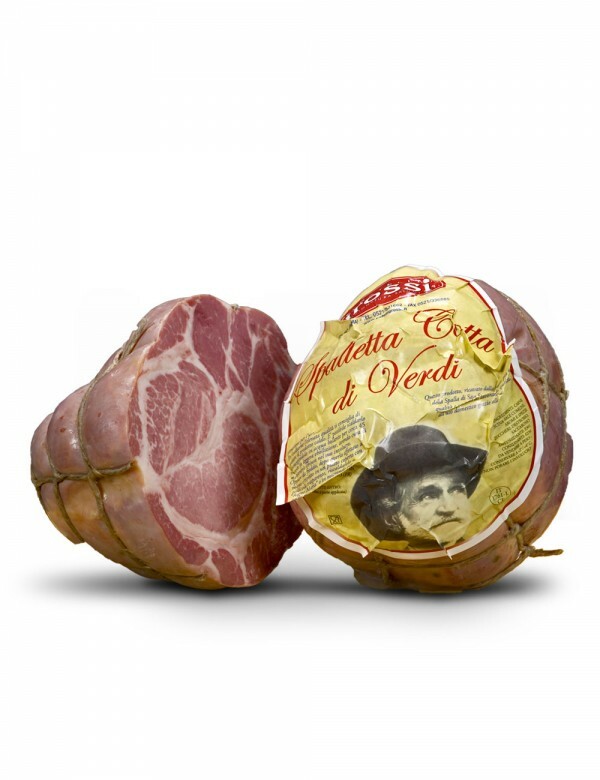 Spalla Cotta is a typical cold cut of the town of San Secondo, in the lower Parma area, where pork shoulders are still lovingly prepared like in the good old days, using only prime ingredients. Buy a portion of vacuum-packed Spalla Cotta, perfect for the family. San Secondo Spalla Cotta goes back a long way in time, perhaps even thousands of years. Giuseppe Verdi was partial to it and would give it to his friends as a gift, advising them on how to cook it without it becoming gristly. It has an irresistible aroma. It is a soft, delicious, select cold cut, low in fat and if correctly sliced, Spalla Cotta melts in your mouth. It should be thickly sliced, by hand. Enjoy it alone or with some torta fritta, a traditional Emilia food made from water, flour, salt and baking powder which is molded into a dough, cut into pieces and fried in lard. Spalla Cotta production has been mastered down to a fine art. The meat used is from the pig's shoulder blade, which weighs in at around 20-21 kg. The cut is trimmed, rolled and marinated in salt, pepper, cinnamon, garlic and nutmeg. It is then salted a second time two weeks after this process. After the second salting, the shoulder is deboned and encased in the animal's bladder, sewed up and matured in special refrigerator cells from 40-60 days. Once this process has come to an end, the cut is cooked. Water, laurel and wine, white or red, at 70-80°C: the ideal length of time is an hour per every kilo of product. Once cooled, Spalla Cotta is ready to be sliced. Whole Spalla Cotta is massive and squat, reaching a weight of 7-8 kg and 25-30 cm in length approximately. When sliced, it is an intense pink color, with more or less accentuated fat marbling, depending on the meat from which it has been made. It has a delicate, agreeable aroma, especially when warm. It has a unique taste, sweet and slightly spiced, delicate enough to titillate your taste buds. Spalla Cotta is high in proteins (22%) and lipids (17%) and low in sugars (0.5%). Spalla Cotta is best served hot. Hand slice the cold cut with a kitchen knife. Slices should be thick, it does not matter if they are slightly irregular. It should be cooked using a bain-marie method: place the slices on a plate, cover with a second plate and place on a pan containing water which has been brought to the boil, for around 30-40 seconds. 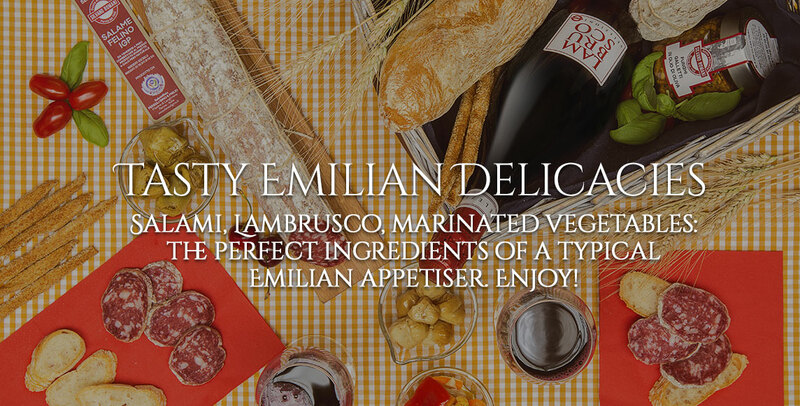 It is divine served with hot torta fritta or homemade bread, perhaps with some pickled vegetables. If you choose to serve it cold, hand cut it into slightly thinner slices: the correct thickness ensures that it melts in your mouth. 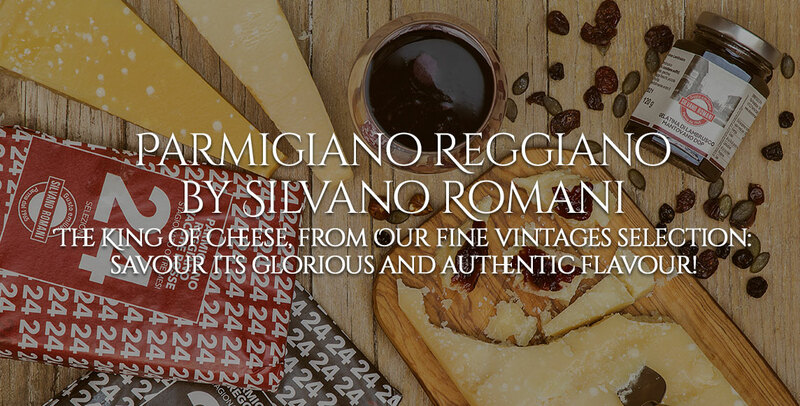 It is best served with a lively red wine such as a Fortana or a red wine from the Parma hills. The whole, vacuum-packed product should be stored in the refrigerator and consumed before the date printed on the packaging. Once opened, Spalla Cotta should be wrapped in cling film and stored in the lowest part of the refrigerator and should be consumed preferably no later than 3-4 days after opening.